The walls play a pivotal role in making or breaking the look of your personal space. Walls at homes are mostly enhanced either through paint job or installing wallpapers. However, in the recent years, wallpapers have gained massive popularity across the globe, owing to the amazing looks they give to your space. The wallpapers come in myriad colors, textures, and patterns to pick from. Apart from this, the wallpapers are also available in different finishes. So before you finally buy a wallpaper for your home, it is important to make yourself aware of the qualities of different wallpaper. This would help you make sure that the final selection offers both, the appealing finish as well as the practicality. Some of the wallpapers are weather and water resistant whereas others are non-resistant to any kind of environmental conditions. Always remember to get the wallpapers installed by an experienced professional. 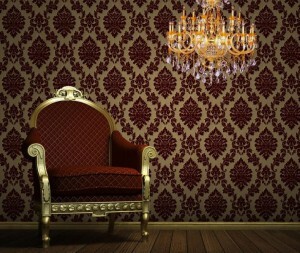 The most popular types of wallpaper include vinyl, flocked, grass cloth and foil. Lately, vinyl has become one of the most popular wallpaper materials around. The vinyl wallpapers are not just good in looks and strength but are also easy to clean. The four different vinyl wallpapers include solid vinyl, vinyl coated, paper backed vinyl, and fabric backed vinyl. According to experts, the vinyl wallpapers are most durable and long-lasting as compared to the rest. The flocked wallpapers have been around for centuries. They were initially designed and manufactured to imitate texture or velvet wall coverings. Over the years, flocked wallpaper has gone in and out of style, but the latest advancements in the wallpaper industry have brought them back to life once again. 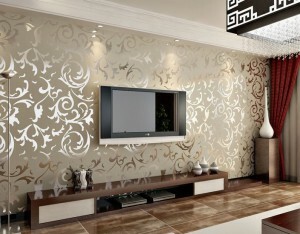 This kind of wallpaper can be bought in both soft and hard texture surfaces. Mind you, the flocked wallpapers are not washable so they should be installed in rooms that have less traffic. These wallpapers are made of natural grasses that are woven together with thin cotton thread and are adhered to rice paper backing. The Grass-cloth wallpapers make use of different types of fibres and reeds that include the jute, silk, bamboo, etc. These wallpapers are environment-friendly and add warmth and character to your space. The Grass-cloth wallpapers feel rough and contain different imperfections which may include knots and frays. These wallpapers are easier to apply, however, they require a really strong adhesive material to remain attached to the walls for a longer period. 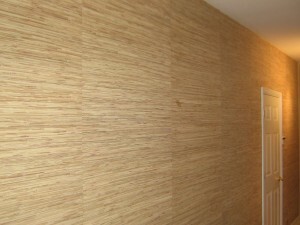 The main disadvantages of Grass-cloth wallpaper is it gets stained easily and is not so durable. For this reason, architecture and construction companies in Lahore prefer to use them in rooms with less traffic. The foil wallpapers are created by installing a thin sheet of metallic foil over the paper backing. They are available in many plain colors, but the ones most commonly used around are silver, copper, and gold. The foil wallpapers are chic and aid Lahore architects give new constructions a contemporary look. 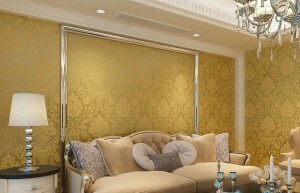 But, it’s not a long-lasting solution for wall décor because the foil is quite thin and can tear or wrinkle easily. Now that you are aware of the different wallpapers available in the market, you can make the right decision when decorating your home/office walls.